Slight change of focus.. or should I say reality?! Its been a while since I blogged, mainly because as I focused more on my day job, had a new baby and generally got really busy, I was unable to find the time to share my thoughts on the subjects I was working on, life got in the way! 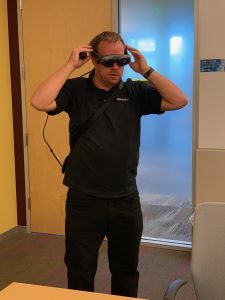 As of the start of this year however I changed roles at VMware and am now helping to lead the strategy for Cross Reality (XR), Augmented Reality (AR), Virtual Reality (VR) and Mixed Reality (MR) or as the industry has started to call it (and I quite like)… Spatial Computing. Of course I may have dabbled in this area before at VMware ;). As its easier to blog about what you are working with on a day to day basis I am hoping to start blogging more on these subjects, helping others to learn as I also learn more. At VMware we are seeing many of our customers already starting to use Spatial Computing to solve certain use cases for the enterprise. Im excited about how this technology will evolve in the future, how VMware will help our customers and what the industry will achieve as a whole. I of course will keep the history of posts on automation and will continue to keep one eye on whats going on there, maybe even find time to create a few posts when things interest me in this area. 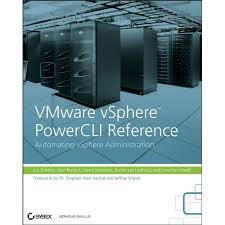 I thank you for continuing to stay interested in the areas I follow and hope you will find this area as interesting as I do, and if you are a VMware customer who has interesting Spatial Computing use cases then don’t be shy, reach out to me and let me know how we can potentially help you! So this means your URL/Blogname really was foreshadowing. Thanks Gareth, and my initials were made for this! Looking forward to your adventures in the Spatial Computing world!